For orders placed before April 21st, see our estimated despatch dates below. We hope this will help you in planning your growing season! Please be aware that these dates are weather dependent (and crop dependent!) and so may change, but we will do our best to keep you posted at all times. We do our best to send all your plants in a single delivery (please see our FAQs section below) so if you have ordered a Veg Patch along with plants from our Pick and Mix, then we will send you everything in one go with the Veg Patch where possible. Likewise, if you have ordered a veg patch and herb garden we will send them together in a single delivery as soon as all the plants are available. Pick and Mix plants include any plant collections, all in one planters and individual plants. We hope to dispatch these between April 22nd and May 20th. We aim to send all plants in a single delivery, so please be aware that if you have ordered more tender, warm loving plants like tomatoes and aubergines, you are more likely to receive your plants towards mid/late May. What do I do if I’m going to be away when my plants arrive? 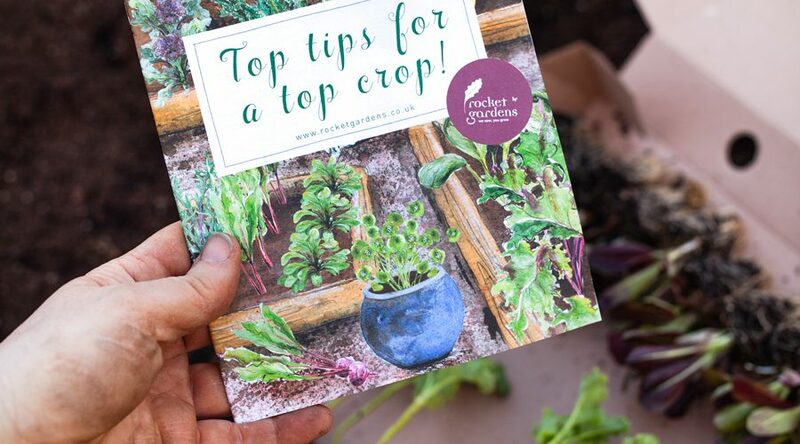 Just send an email to queries@rocketgardens.co.ukwith your order number and the dates that you will be away, and we’ll reschedule them for when you’re back.2. What if my plants arrive before I’m ready to plant them? In this instance, the best thing to do is to plant them temporarily in an opened grow bag or bag of compost (be sure to soak the roots of the plants in water beforehand). You can leave them like this, in a warm, light, sheltered place for up to 10 days before you are ready to plant them in their final location. You may need to water them after a few days if the compost starts to dry out. 3. How should I lay out my veg patch? If you’ve ordered a Veg Patch you can download a garden layout plan (see links above). 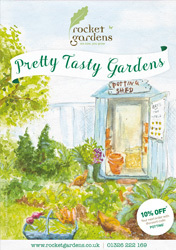 For pick and mix plants we would recommend grouping plants by family/type (eg Root Veg like Beetroot and Carrot together, Brassicas like Cabbages together) to make it easier to care for the plants. Check the growing guide for spacing requirements. Any medley of pots, growbags and beds is fine. 4. Will you send me growing instructions? Yes, you’ll get a growing guide booklet with your order. It’s also worth subscribing to our Weekly Veg Out newsletter for lots of growing advice throughout the season. 5. How should I prepare my plot? There’s a guide on our website, but here’s the short version..! Fill pots with fresh compost so they are ready to plant. Make sure any beds are weed free, and top them up with well rotted manure or compost (you can dig it in or spread it over the top). 6. Can I add something to my order? Can I request a later delivery date?Yes, once you receive your final delivery date you can reschedule if you need, up to 48 hours ahead of the despatch date. Can you send my order in multiple orders? No, unfortunately we cannot ship your plants in multiple parts. We will send everything to you as soon as we can in a single delivery. The only time we will send plants in separate deliveries is if we have a serious delay to a particular plant’s growth or a crop failure.